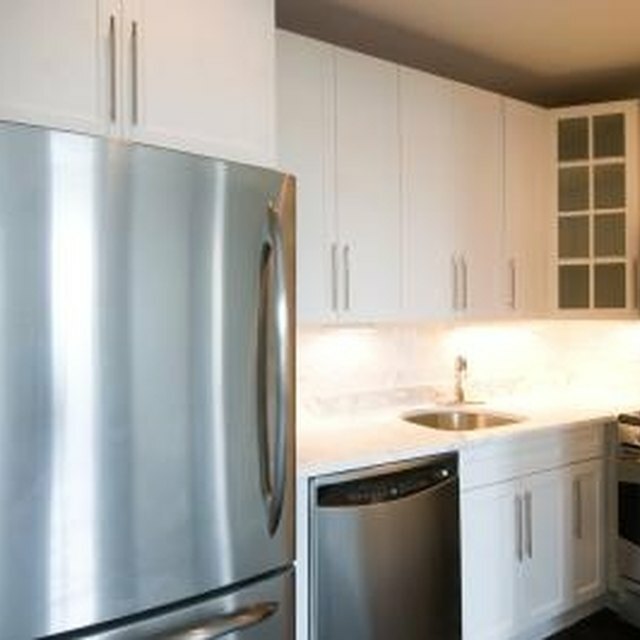 Kenmore makes a wide variety of refrigerators, including two-door, top loading and industrial fridges. Kenmore tends to offer a multi-year warranty on their products, so check your user manual and date of purchase if problems occur. If your refrigerator is not under warranty, you may wish to troubleshoot and repair the unit yourself if it is not running. Most problems are easily resolved, but condenser problems will require professional servicing. Refrigerator problems leading up to condenser failure can be repaired without a repair technician. Pull the fridge away from the wall and inspect the plug. Plug in the unit if it is unplugged. Check the outlet if the unit is not running by plugging in another appliance. Open the circuit breaker box for the home if the outlet does not work. Flip the circuit breaker for the kitchen into the "on" position. Open the fridge door and check whether the light works. If not, check the bulb; it it is not burned out, reinstall it. If the outlet is working but the light won't come on and the fridge is not running, there is likely a power-supply problem with the unit. Call for a professional service. Find the temperature-control gauge, either on the side or top of the refrigerator unit. Turn up the temperature setting and wait a few minutes to see if the unit turns on. Pull the fridge out from the wall and unplug it. Vacuum the condenser coils with a soft attachment to remove dust from the condenser coils. Plug in the fridge and see if it will work. Unplug the unit and leave it to rest for two hours. Plug it back in. If the unit starts, there is a problem with the condenser unit overheating. Have the refrigerator professionally serviced.